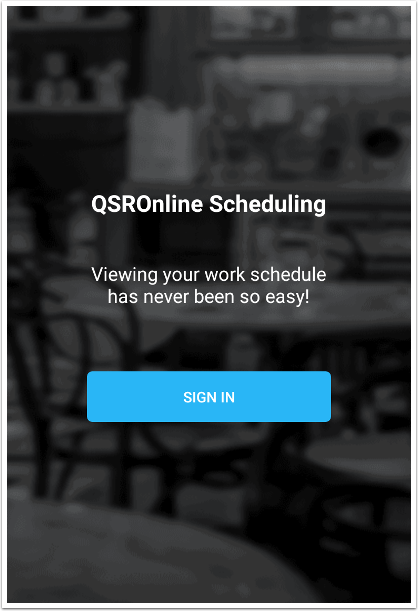 View your work schedules anytime, anywhere with QSROnline's Scheduling App! 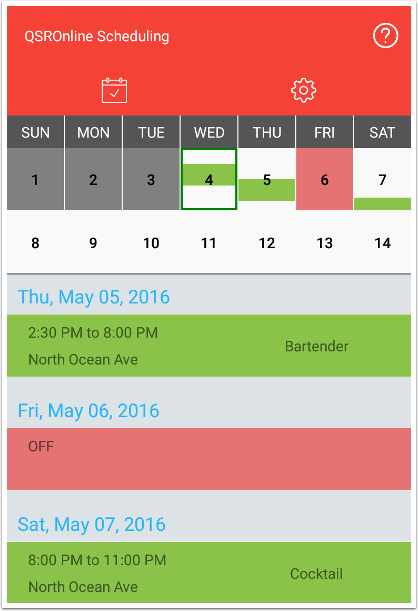 QSROnline Scheduling App lets you instantly view your upcoming work schedule. 1. Your scheduling manager must use QSROnline Scheduler to create and manage your work schedule. 2. 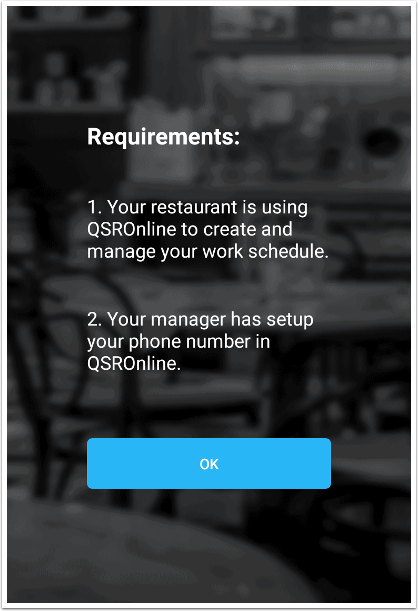 Your manager must setup your account by entering your phone number into QSROnline. Go to the Google Play Store or open the Play Store in Apps. Search for QSROnline Scheduling. 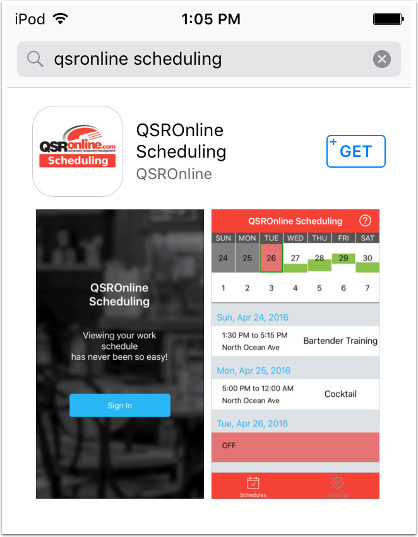 Click to install the QSROnline Scheduling app. Follow the on-screen instructions. Go to the App Store. Search for QSROnline Scheduling. 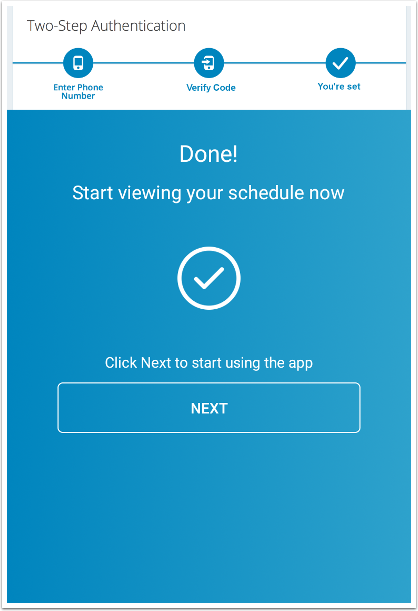 Click install on the QSROnline Scheduling app. Follow the on-screen instructions. Once installed, you will be directed to the Landing Page. Click Sign In. Make sure that you read and fulfill all the app requirements to use the app. Click OK to proceed. 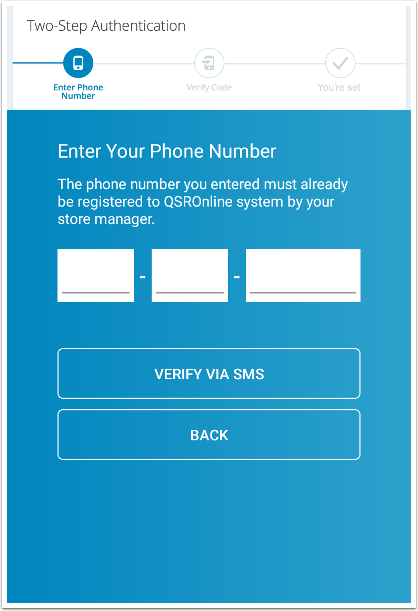 Enter your phone number that has been registered in the QSROnline system by your store manager. 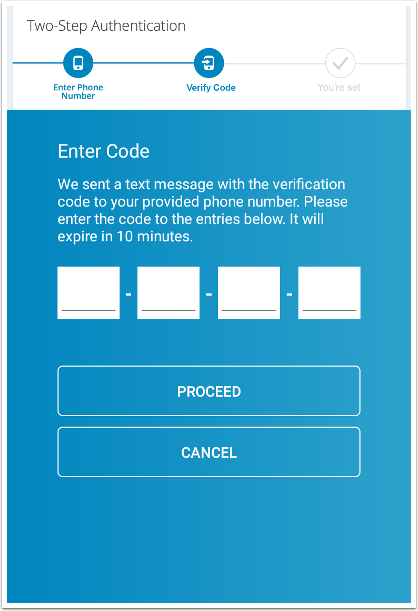 Click Verify Via SMS. An SMS containing 4-digit verification code will be sent to your phone. Make sure to have your phone ready with you since the code will only be valid for 10 minutes. Check your phone if you receive the 4-digit verification code. Enter them into the entries and click Proceed. Click Next to start using the app. 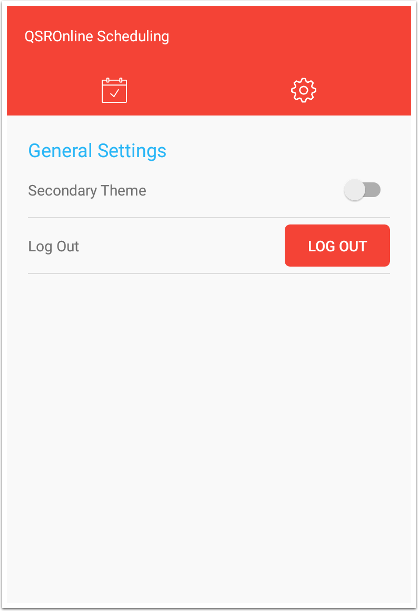 The second tab (settings page) lets you switch the app color to use secondary theme (dark color) as well as logging out from the app. Please note that logging out will remove your access to the app. You will need to re-enter your phone number and verification code to log back in.